Syrian and Egyptian enamelled glass was imported into Italy as a luxury product from at least the thirteenth century onwards, but by the mid fifteenth century the quality of Venetian glass was superior and the situation had reversed. 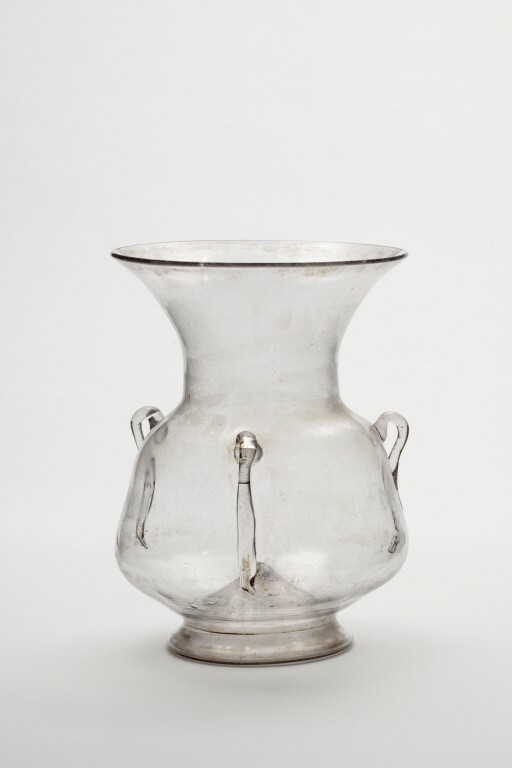 Mosque lamps were produced in large quantities by the glassmakers of Egypt and Syria during the fourteenth century, but by the fifteenth century, local production of high quality glass has all but died out. Even mosque lamps had to be imported. In 1569, Grand Vizier Sokullu Mehmed Pacha in Istanbul, placed an order for nine hundred Venetian glass lamps. The accompanying drawings are still kept in the Venetian State Archive. Our mosque lamp has traces of 'cold' (unfired) gilding and it is very well possible, that it was exported from Murano to Egypt as a blank, to be decorated by local craftsmen. Clear colourless glass lamp with four molded handles. 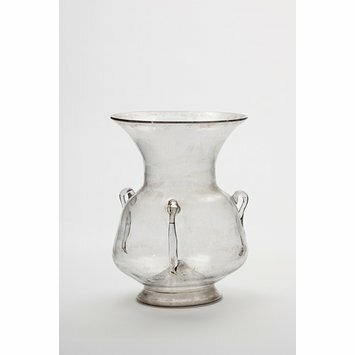 This lamp was purchased in 1900 from a collection formed largely in Cairo, Egypt.